The home side has played 4 matches so far this season. And the results have been mixed. An opening day away defeat by Omiya Ardija was followed by a home win over Tokyo Verdy. 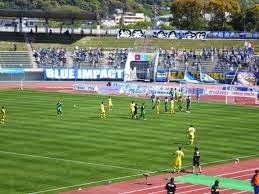 Kanazawa then somehow managed to lose at home to Yokohama before bouncing back to beat Gifu away. Meanwhile, the visitors have also played 4 matches so far this season, and lost twice too. However, they have won only once, and even then, it came on home soil. No past history between them.